White Plains Cleaning Service Inc.
Today there is much more to providing janitorial services than just showing up with a mop and bucket. Environmental concerns and new cleaning technologies have taken Mount Vernon commercial cleaning service to a new level. White Plains Cleaning Service will customize a janitorial cleaning services to meet the needs of property management firms, facility managers, and building owners of all kinds. Our past and current clients include business owners in the following categories; School Janitorial Services, institutional janitorial services, industrial janitorial services and retail janitorial services. We understand that no two businesses are alike, so we customize a top quality janitorial service to meet the unique needs, size, and budget for any business. Cleaning schedules can be customized by day of the week, and time of the day 24/7 – 365! At White Plains Cleaning Service we understand the importance of your company’s image and employee health and how it all affects your business. We believe that our cleaning staff of professionals can provide you with the highest level of office cleaning and sanitation available anywhere. We are New York Cleaning Experts so you can rest assured that every office cleaning need will be covered by our well trained cleaning team. Empty trash and recycling, Wipe baseboards, Damp wipe trim and windowsills, Vacuum carpeting and furniture, Sanitize all bathrooms, Wash and mop floors, Clean mini blinds, vacuum draperies, Dust all desks and file cabinets, Dust lamps and light fixtures, Dust picture frames, Clean kitchen sinks, counters and appliances, Professional Janitorial Services, Floor Stripping & Waxing, Window Cleaning, Bathroom Tile Cleaned & Polished, Grout Cleaning, Upholstery Cleaning, Power Washing, Fire And Flood Clean Up, Parking Lot Maintenance, Spot Removal, Marble, Ceramic And Terrazzo Cleaning are some of the things we can provide for you. We clean and maintain offices, storefronts and commercial buildings, helping our clients to achieve a well maintained professional business appearance that gives clients a lasting impression. We provide office cleanings services ranging from daily to monthly, tailoring our services to the needs of our clients. Regardless of your cleaning budget, we are confident we can put together a cleaning schedule and service that will fit your needs. Busy dental offices, health clubs, Banks or any other business probably all require a unique cleaning schedule and service. Call us today for a no obligation cleaning service quote 914-946-9424. 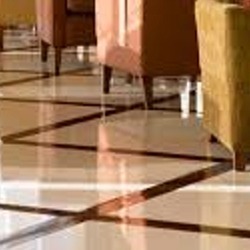 Our Mount Vernon commercial cleaning service client list includes, CPA Offices, Tax Offices, Real Estate Offices, Consulting Offices, Engineering Offices, Architect Offices, Doctor Offices, Medical Suites, Chiropractor Offices, Day Care Centers, Financial Brokerage Offices, Insurance Offices and Retail Stores. Call us when you need a cleaning problem solved or an emergency cleaning / maintenance situation professionally managed. WPCS is available to take care of all kinds of emergency cleaning and one time maintenance situations. 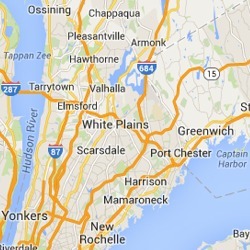 Why Choose White Plains Cleaning Service for cleaning and janitorial services in Westchester County NY? We know that you have many choices for office cleaning and janitorial services in the NYC metro area. To an educated consumer of professional cleaning services there is much more to a thorough office cleaning than meets the eye. When the WPCS cleaning crew arrives at your office or store, you can expect that each crew member to be trained in the most efficient cleaning processes available today. Call us today 914-946-9424 for fast free cleaning service quote, you will be glade you did. White Plains Cleaning Service Copyright © 2016 All Rights Reserved.